1.) Become an affiliate; 2.) buy our products at super discounts and resale them; 3.) get free products for your auctions; and 4.) learn how you can get books to give away. Winner of Two National Awards! Recommended by The Animal Protection Institute, Animal Wellness Magazine, actress/activist Betty White, and The Journal of the American Holistic Veterinary Medical Association. For reviews and testimonials, visit our Testimonial page. Thanks for your interest in wholesale prices for our book, Scared Poopless: The Straight Scoop on Dog Care, and on our new nutrition audio series: How NOT to Kill Your Dog or Cat. We offer big wholesale quantity discounts on both products. Please sign up below and we'll send you complete information instantly by e-mail. Profit-making resellers, please inquire about wholesale prices by clicking here. We also have affiliate links which allow you to earn commissions on our products simply by referring people to us with a special link we provide. There is no cash outlay. For more information, click here. To help the guardians of dogs and cats feed their animals safely and help them achieve maximum health, Scared Poopless author Jan Rasmusen interviewed top pet food and pet nutrition expert Dr. Jean Hofve, former Editor-in-Chief of the American Holistic Veterinary Medical Association Journal and former AAFCO liason for The Animal Protection Institute. 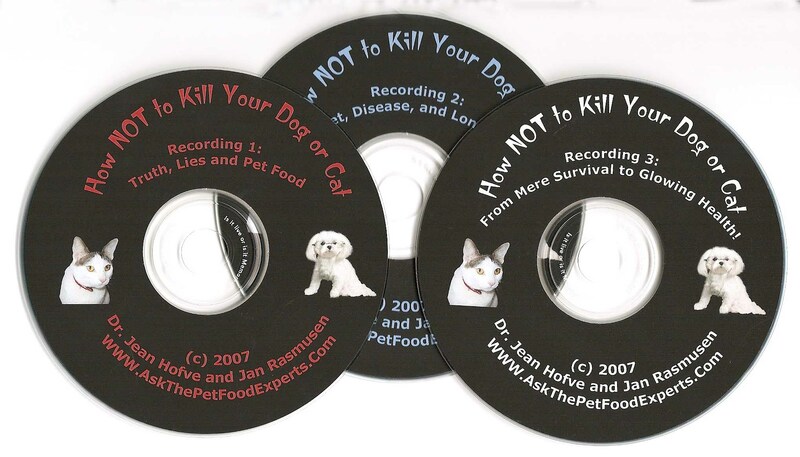 Learn more about these recordings at www.AskThePetFoodExperts.com. Audio links sell for $15 each or $35 for the series of three. There is a small surcharge if CDs are mailed that does not qualify for affiliate commission. Disclaimer: The information contained on this web site is provided for general information purposes. Any information provided is not veterinary advice and should not be substituted for a regular consultation with a veterinary professional. 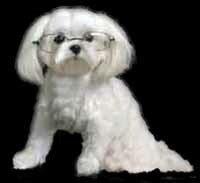 If you have any concerns about your dog's health, please contact your veterinarian's office immediately. © 2005-2006 Jan Rasmusen. All rights reserved. 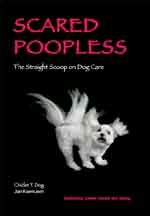 Scared Poopless and Dogs4Dogs are trademarks of Jan Rasmusen. Please contact webmaster with problems viewing this site.